He wants to be reinstated. 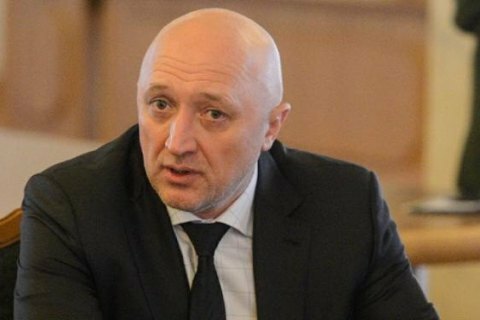 On 15 April, a former head of the Poltava regional state administration, Valeriy Holovko, filed a lawsuit against the regional state administration and President Petro Poroshenko to recognize as unlawful and cancel the president's decree on his dismissal, the local news website Poltavshchyna has reported. His lawsuit will be considered by the Administrative Appeal Court within the composition of the Supreme Court. During his visit to Poltava on 13 March 2019, Poroshenko announced Holovko's dismissal. Roman Tovstyy is currently the acting head of the Poltava regional state administration. Poroshenko dismissed Holovko because of the corruption scandal and a criminal case on extortion and gross illegal enrichment by officials of the Poltava regional state administration. Former Poltava mayor Oleksandr Mamay is also suing for reinstatement.